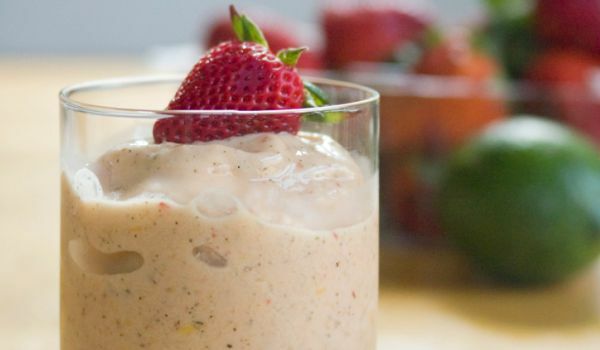 Put frozen banana and peaches in a blender. Blend until it smoothens. Now, pour orange juice to form a smooth blend. Pour the smoothie into tall glass and top the drink with almonds before serving.